Friends of Sutter’s Fort is proud to sponsor the monthly interactive and fun “Hands on History” events at Sutter’s Fort State Historic Park. “Hands on History” events typically take place on select Saturday throughout the year. “Hands on History” events provide new opportunities for learning. These events are appropriate for the entire family, with hands on activities for both children and adults. During Hands on History events, talented and highly trained docent volunteers recreate life in 1846. Visitors can explore Sutter’s Fort at their own pace, interacting with docent volunteers along their way. Popular demonstrations of black powder weaponry in action may also take place (weather permitting) including the crowd-favorite firing of Sutter’s cannon. 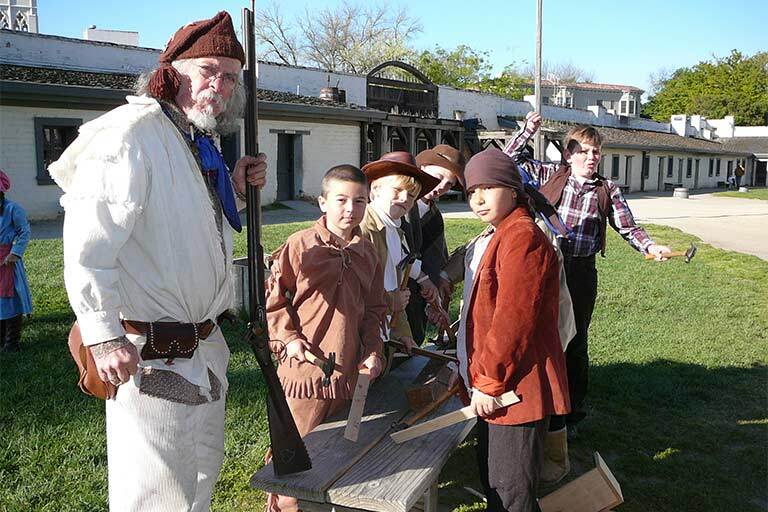 Admission to Sutter’s Fort during “Hands on History” events is $7 per adult (18 and older), $5 per youth (ages 6 to 17) and is free for children 5 and under (regular admission pricing is $5 per adult, $3 for youth). 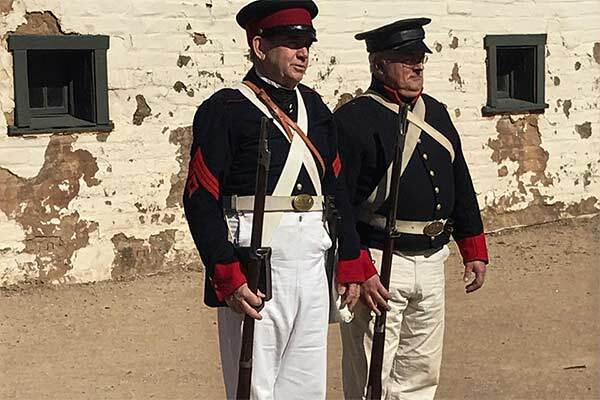 Current members of Friends of Sutter’s Fort receive discounted admission. Not a member? Join today! Thank you to Sutter Health, the Premier Sponsor of the Friends of Sutter’s Fort Volunteer Support Program. Thanks to this sponsorship, we are able to support the efforts of over 100 volunteers who collectively contribute over 10,000 hours of service to Sutter’s Fort State Historic Park annually. A BIG thank you to all the guests that joined us for "By Land and Sea", as well as all our hardworking volunteer docents that made this day possible! Taking place once per month, Hands on History events provide an opportunity for visitors to interact with our volunteer docents (reenactors dressed in 1840s attire) and enjoy a variety of themed hands-on activities.